The GSO Budget is funded through student fees paid by graduate students each semester. Each SU graduate student pays $50 per semester, and each ESF graduate student pays $30 per year to the GSO. This year’s budget is $410,781.63, representing student fee and rollover account spending. This money is allocated by the GSO Senate in its annual budget meeting, conducted on April 19, 2017. For full details, see the official budget resolution. This includes funds allocated to Recognized Student Organizations (RSOs) during the annual budgeting process and the Special Programming pool. The Special Programming pool is used to award student organizations money on an event by event basis throughout the year. For a complete breakdown of student organization funding, please see the bottom of this page, or the budget resolution linked above. This includes office supplies, payment to graduate school for administrative support, meeting expenses (food), and similar spending. Salary and benefits for Executive Board Officers. The Travel Grant Program supports graduate students traveling to conferences and similar events. Please refer to the Travel Grant section of our website for more information. Funds for large scale GSO sponsored programming like the opening and closing picnics, various events like wine and beer tastings at the Inn Complete, and similar GSO run events. See the 2016-2017 budget here. These organizations successfully completed the re-registration process by the given deadline and hence were allocated an annual budget. Organization registrations and re-registrations are accepted on a rolling basis throughout the year, but organizations that fail to re-register are not allocated an annual budget and their Special Programming applications can have restrictions based on the recommendation by the Finance Committee and decision of the GSO Senate. Departmental Recognized (Graduate) Student Organization budget allocations for the 2017-18 academic year. 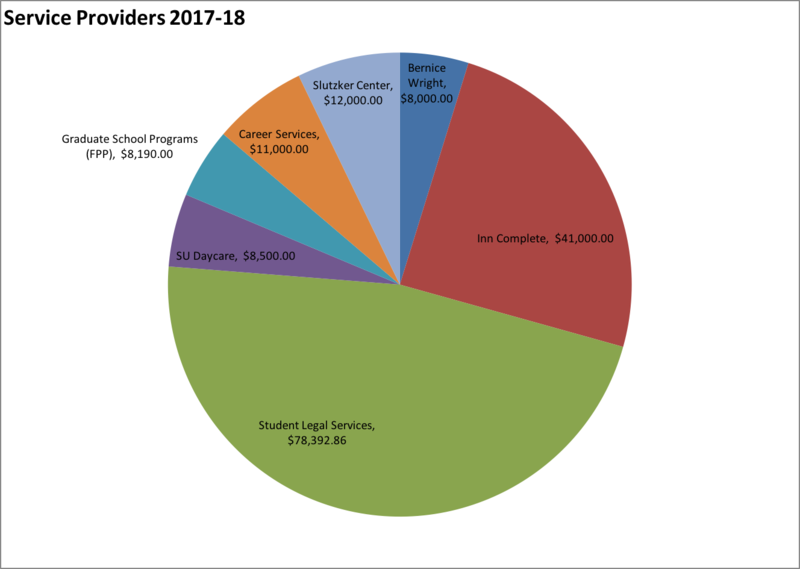 These organizations represent graduate students in specific programs, and their annual budget is allocated based on number of student enrolled in those programs. All RSOs can also apply to Special Programming once per semester. 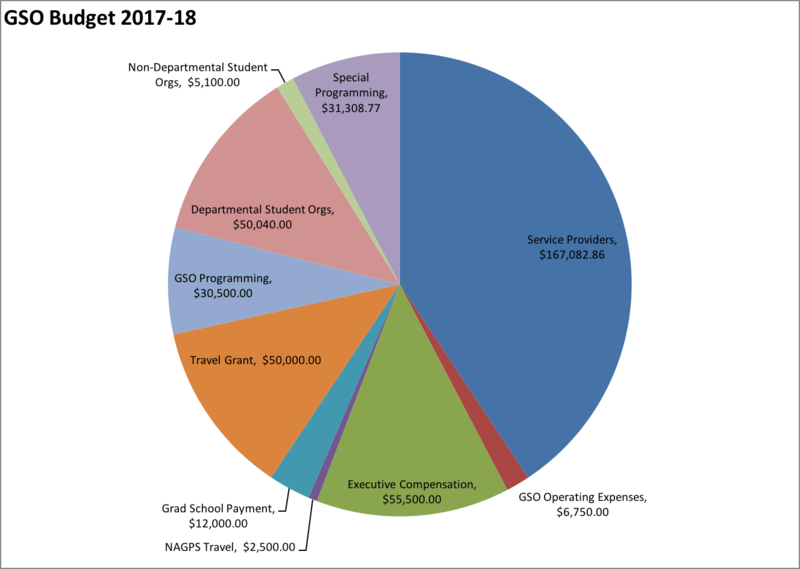 Non-Departmental Recognized (Graduate) Student Organization budgets allocated for the 2017-18 academic year. These organizations do not represent graduate students in any particular programs. A small annual budget is allocated in order to help these organizations get started at the beginning of the year. All organizations can apply to Special Programming once per semester.